Despite having consistently mediocre sound quality, cassettes are back, baby! This January, Nielsen Music reported that the ‘80s-preferred method of music consumption had a 74 percent sales increase in 2016. There’s just one problem: The world is running out of physical cassette tape. According to a report from the Wall Street Journal, there is less than a year’s supply left of cassette tape at the top manufacturer for cassettes. National Audio Co., a Missouri-based cassette manufacturer, has been hoarding leftover 1/8-inch-wide magnetic tape from suppliers that have shut down since the small clunkers really fell out of style (and automobiles) for good in the early 2000s. 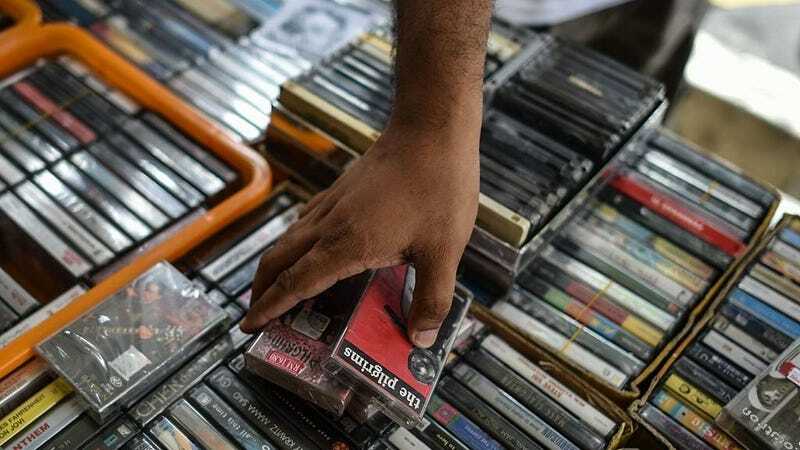 Although demand has surged recently, it’s worth noting that cassettes only moved 129,000 total units last year (a measly percentage of the slumping 200.8 million total albums sold, and 13.1 million vinyl records sold). It’s still a niche market, which may not demand thousands of miles of tape just yet, but they’re a cheap nostalgic alternative to vinyl—for both manufacturers and consumers. The fact that physical media is dying across all formats might be enough of a reason to keep it alive.